You may recall a few months back a writer at The Root wrote a pandering fact free poorly argued and reasoned article that claimed that Black men, no excuse me, heterosexual Black men (have to hit ever last intersectionality bonus point) were "the white people of black America." By this the writer apparently meant that Black heterosexual men wielded unearned and unfair privilege over everyone black who didn't fall into those categories. According to the writer Black women did all the work for life's picnic while Black men just showed up at the last minute, took all the credit, and the biggest piece of chicken. Even for that writer, that piece stood out for its complete lack of cited empirical data to support the author's contention. I wasn't the only person who pointed out that the piece was making a conclusion that not only wasn't supported by the available data but also that was bluntly contradicted by said data. Well time moves on and glory be there is yet another study that confirms that Black American men (the authors didn't bother to try to qualify sexuality) are getting it in the neck. Black American men aren't the "white people" of any group. Black American men aren't wielding privilege over anyone, least of all Black women. You should read the article and the study for yourself of course. Black boys raised in America, even in the wealthiest families and living in some of the most well-to-do neighborhoods, still earn less in adulthood than white boys with similar backgrounds, according to a sweeping new study that traced the lives of millions of children. White boys who grow up rich are likely to remain that way. Black boys raised at the top, however, are more likely to become poor than to stay wealthy in their own adult households. Even when children grow up next to each other with parents who earn similar incomes, black boys fare worse than white boys in 99 percent of America. And the gaps only worsen in the kind of neighborhoods that promise low poverty and good schools. 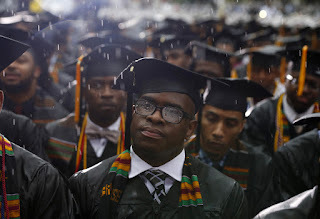 According to the study, led by researchers at Stanford, Harvard and the Census Bureau, income inequality between blacks and whites is driven entirely by what is happening among these boys and the men they become. Though black girls and women face deep inequality on many measures, black and white girls from families with comparable earnings attain similar individual incomes as adults. 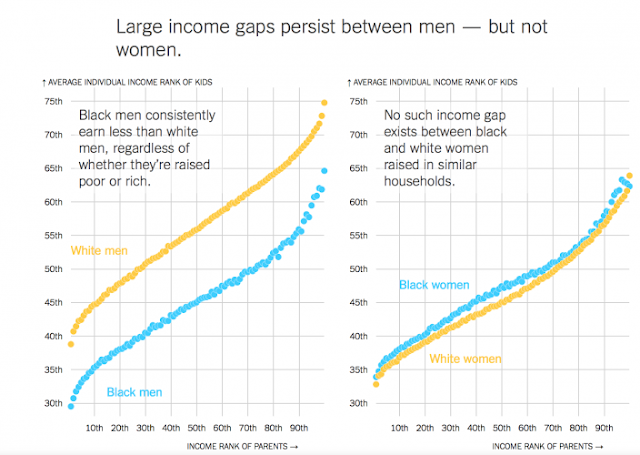 Large income gaps persist between men — but not women. 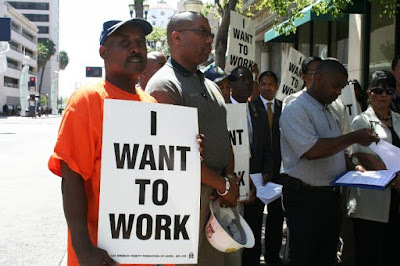 Black men consistently earn less than white men, regardless of whether they’re raised poor or rich. You would have thought at some point you escape the poverty trap,” said Nathaniel Hendren, a Harvard economist and an author of the study. Black boys — even rich black boys — can seemingly never assume that. The disparities that remain also can’t be explained by differences in cognitive ability, an argument made by people who cite racial gaps in test scores that appear for both black boys and girls. If such inherent differences existed by race, “you’ve got to explain to me why these putative ability differences aren’t handicapping women,” said David Grusky, a Stanford sociologist who has reviewed the research. If this inequality can’t be explained by individual or household traits, much of what matters probably lies outside the home — in surrounding neighborhoods, in the economy and in a society that views black boys differently from white boys, and even from black girls. This all was too much for such noted feminist blowhards as Brittney Cooper, who immediately decried the study and those who referenced it as calling for that old bugaboo, patriarchy. Oh the horror. First off neither the study authors nor the NYT were calling for patriarchy. And I have to wonder about what sort of person, who when faced with evidence of discrimination against black men, says that helping black men isn't the answer. Secondly, helping black men is the answer, or at least part of it. Black men have been shut out from or severely restricted in use of both formal and informal hiring networks. Last hired, first fired is still an accurate description of black male employment opportunities, whether it's the lawyer making $400,000/yr or the warehouse clerk making $13/hr. Using terms like privilege and patriarchy to describe a group of men who are regularly being harassed, molested, beaten and shot by police officers of all colors and both genders without any legal consequence is, to borrow the academy's favorite term, problematic in the extreme. In this instance Cooper and her fellow travelers are like someone who has been brought in the hospital with a broken arm and gets upset that the doctors are paying any attention to someone who has been shot in the head. It's even worse than that because black men aren't getting care for their metaphorical head wound. Forget about care/public policy. If you even mention that there is a problem that Black men face as Black men, that is enough for feminists of all colors to declare that you're a sexist retrograde wannabe patriarch who likely rapes puppies in your spare time. Despite what they may say when they're called out, people who speak like this don't like men in general and black men in particular. The problem with feminist intersectional theory is that it tends to assume that we get points for being straight or for being male or for being Caucasian. That MIGHT be true if you happen to be all of those..and wealthy. That is not true if you are straight, male and Black. The levels of hostility shown to Black males by the larger society completely wipes out any theoretical "advantage" they might presume to gain from their gender. Gender advantage for Black men in America simply does not exist. Black men in America have a gender disadvantage. The data shows this over and over and over again. As a Black man your wealth or education or class or status or gender does not protect you. Ask James Blake or Professor Gates about that. In the same way that physicists have had to come to terms with the fact that reality behaves differently at the quantum level than it does at the level of reality that humans can perceive unassisted, social scientists, political theorists, and yes even feminists, will need to build new theories to capture the reality that Black men catch hell because they are Black men. That doesn't mean that sexism against women and other forms of prejudice don't exist. Life isn't always binary. Many will resist this acknowledgement. From sheer selfishness and spite people have often successfully torpedoed or weakened any initiatives designed to help Black men. Any public or private initiative to assist Black men almost immediately gets attacked legally or socially as sexist. Not so with programs for women or Black women. Hmm. As one scholar pointed out nothing short of a New Deal for black boys might be in order. I don't know the answers. But I am sick and tired of watching racists and feminists move heaven and earth to avoid dealing with the fact that there is still serious entrenched deadly prejudice against Black men.